For athletes, their bodies are part of the job. They need to be in peak physical condition to compete at a high level. Even when an athlete has been successful for a long time, sometimes they need to change up their diet to stay competitive, or tack on a little more muscle. Sometimes it&apos;s the newbies who are just breaking into the league who need a change, their bodies not yet molded to the archetypes needed for the sport. The cool part is that we see these athletes in pictures or on TV all year, and when they change up their physique, we notice right away. From just a couple of instagram pictures, numerous internet sleuths were able to estimate the weight loss of NBA superstars Lebron James and Carmelo Anthony this summer. That&apos;s not what we&apos;re going for here though. At Sneaker Report, we only want the hugest changes EVER. 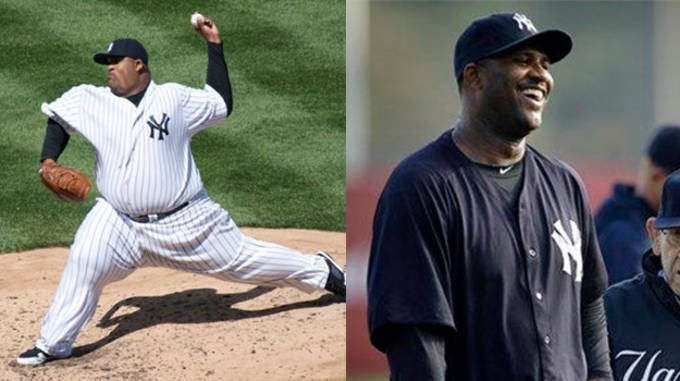 Without further adieu, here are the biggest athlete transformations ever. Jared Swedler is a student at Baruch College living in New York City and interning for Sneaker Report. He can be found cheering on the Knicks and hitting vintage stores in the East Village to find throwback gear from the ’90s. Don&apos;t you want to just pinch those cheeks? 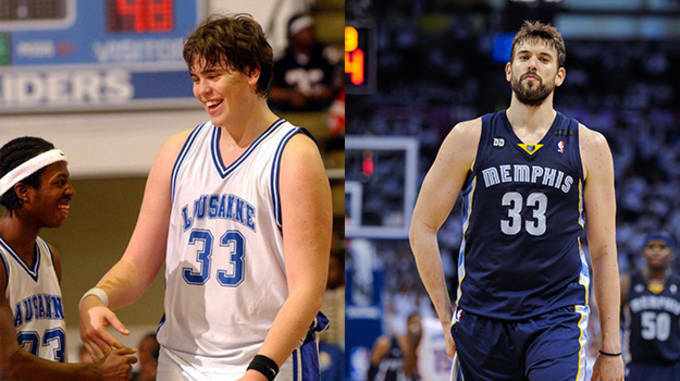 Now an NBA All-Star, Gasol was once an overweight kid playing high school ball in Memphis. It is plain to see why his nickname was "the Big Burrito". As Gasol graduated and played professionally for a couple of years in Spain, he slowly grew into his body and became the force we know and love today. Favre could sling it with the best of them, all the way into his 40&apos;s. Yet during his playing days, his physique was nothing to write home about. All that has changed in retirement. 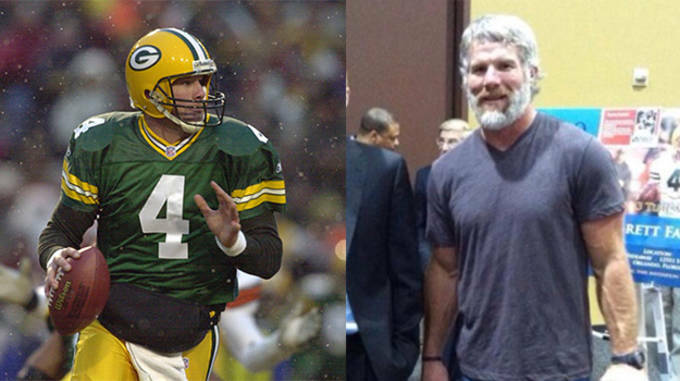 It looks like Favre has some excess energy and time on his hands, and he using it to hit the gym. Does he have a license for those guns? Ahh, good old Lendale White. This dude tortured me for a whole year as he stole touchdowns and valuable fantasy points from Chris Johnson. Watching him repeatedly waddle into the end zone led me to simply refer to him as Len"Whale". Even though that is easily the best fantasy team name ever, it had to be retired when he lost 30 pounds in 2009 by giving up tequila. RIP Len"Whale". 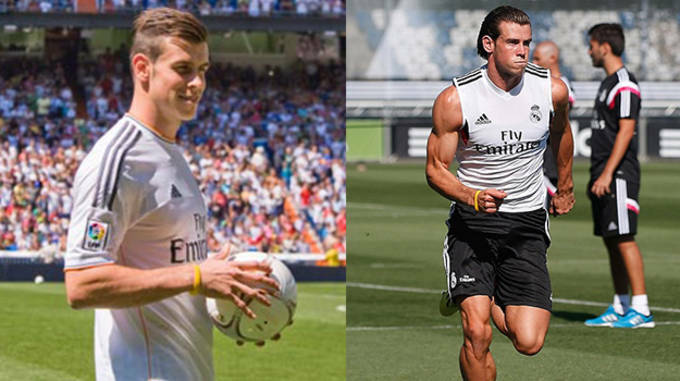 Always known as a speedy winger, Bale decided to change things up this past offseason. When he showed up to Real Madrid training camp earlier this month, he was looking quite a bit larger. It remains to be seen if the added weight will help him stay on the ball better. The Yankee&apos;s ace had always been a presence on the mound. Weighing in at 290 and standing over 6 feet, his physique was enough to strike fear in hitters, without even considering his nasty slider. That changed slightly this season as he appeared much slimmer and in better shape. Too bad this season will be wasted, as he is out for the year with a knee injury. 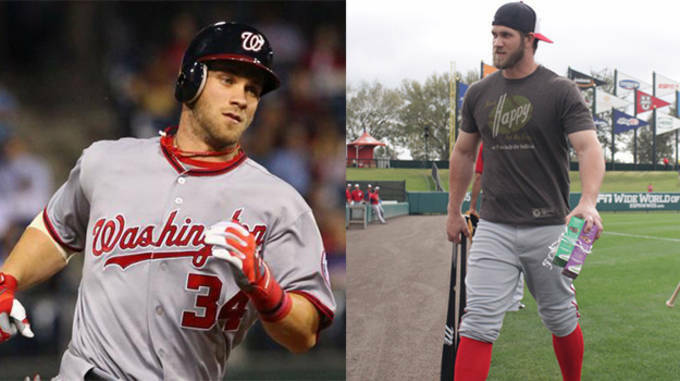 Two seasons ago, Bryce Harper was a rookie and to be honest, he was still an animal. That&apos;s why when he showed up this spring training looking like the Incredible Hulk, the rest of the league did a double take. It hasn&apos;t drastically helped his power numbers, but there has got to be at least a mental advantage right? Perkins was never what you call agile. 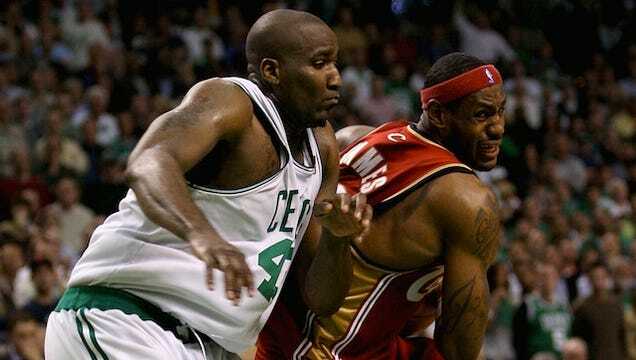 Most times he is seen lumbering around down low on the block, protecting the rim with his gigantic frame. 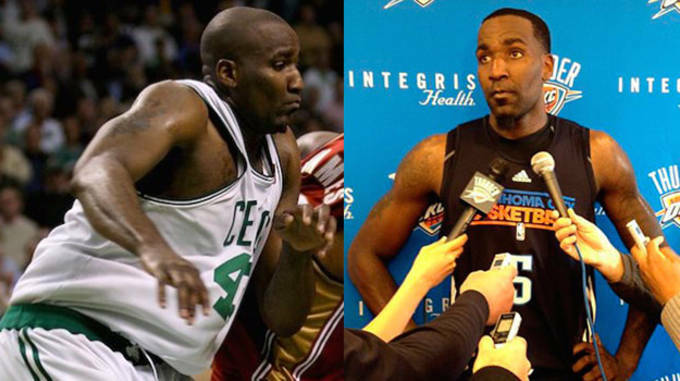 When Perk got traded to the Oklahoma City Thunder, he made a conscious effort to get better athletically, and ended up losing over 30 pounds. Too bad it hasn&apos;t helped much, as he is widely regarded as one of the least productive players in the NBA. Now that is wild. As nutritional sciences progress, players are getting smarter and smarter about their own dietary habits. 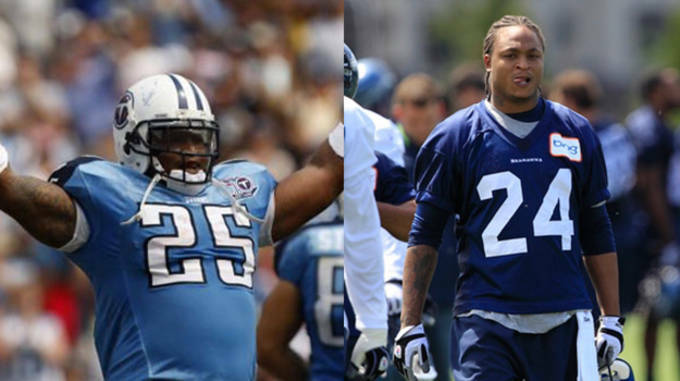 More former lineman are realized 300 pounds is not exactly an ideal weight, and we have seen some awesome transformations recently. 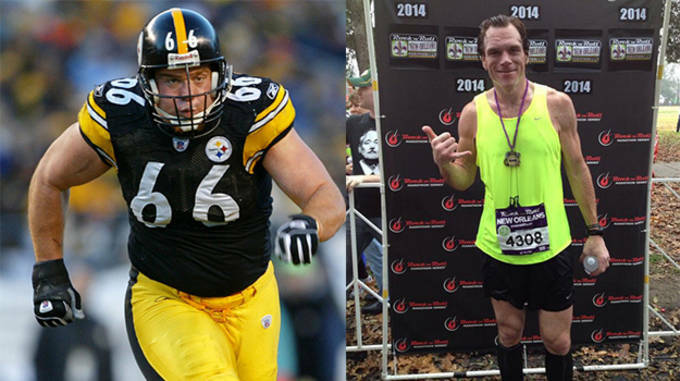 Still, nothing prepares you for Faneca, who is unrecognizable from his playing days with the Steelers. Recnetly, it looks like Faneca is more at home on a track than on a football field. 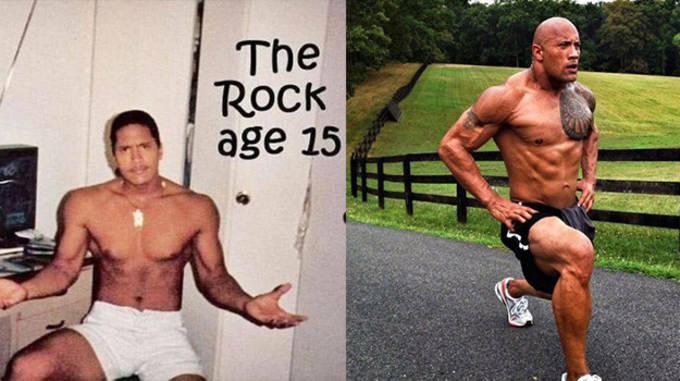 Dwayne Johnson was never a small guy. As a professional wrestler and NCAA football player, the Rock always had a chiseled body. It was only after he retired from sports and transitioned into movies that he took it up a notch. And by taking it up a notch, I mean that he no longer has a neck. This one makes the list for purely comedic reasons. 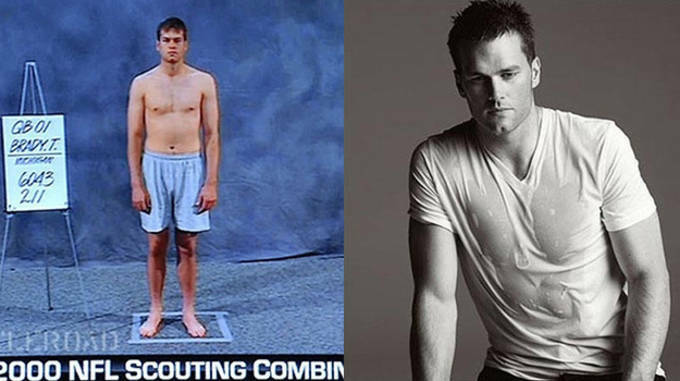 That is all-world quarterback Tom Brady at the draft combine in 2000, clearly not the hunk of man he is today. Look at that awkward stance, that undeveloped chest. In my heart, this is always how Tom Brady will look.